Robert Ruark was eight years old when his grandfather gave him his first gun, a little 20-gauge, and the Old Man taught the boy good manners with a gun. 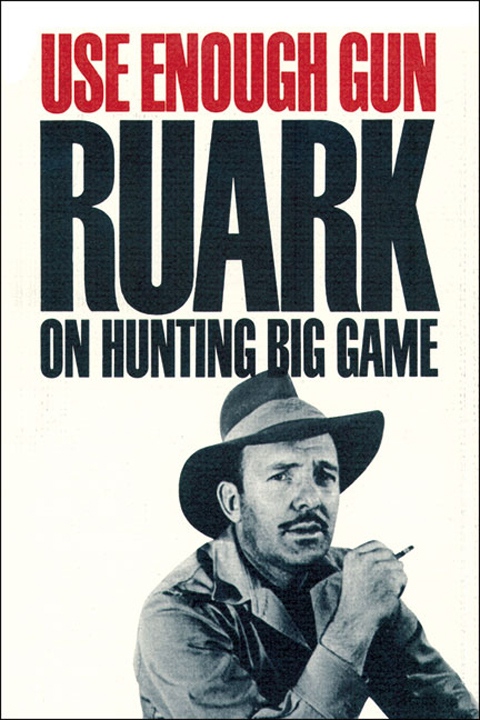 Ruark once wrote, “I have been on twenty safaris. . . . I have shot three elephants of over a hundred pounds per tusk, killed a couple of lions. . . . I have lost count on leopard—maybe twenty—and I have no idea about buffalo, maybe a hundred . . . wildebeest, gerenuk, oryx, duiker—in general, camp meat, must have run into a thousand. I have shot three tigers, been severely mauled by a leopard. . . ." But, this book is more than the record of a lifetime’s bag: It is the story of a man’s education as a hunter. The lessons that Ruark learned from his grandfather still applied when he shot his first lion on safari in Africa, more than twenty years later. Then there were new lessons to be learned from Harry Selby, the Kenyan professional who became Ruark’s close friend. Ruark hunted in India and Alaska, in Mozambique and Uganda, Kenya and Tanganyika. No matter where he traveled, in the end the thing that mattered most to him was the nature of the hunt itself; the relationship of the hunter to the animal he killed; and the investment of skill and bravery in a grand endeavor. Submit your review for "Use Enough Gun"